Boundaries of parishes have been important for generations; they dictated which church a person would be baptised, married or buried in and where they paid tithes and other taxes. The current civil parish boundaries that we are familiar with on Ordnance Survey maps often follow the same routes as former ecclesiastical ones, with the new unit of administration being defined in terms of the previous one. 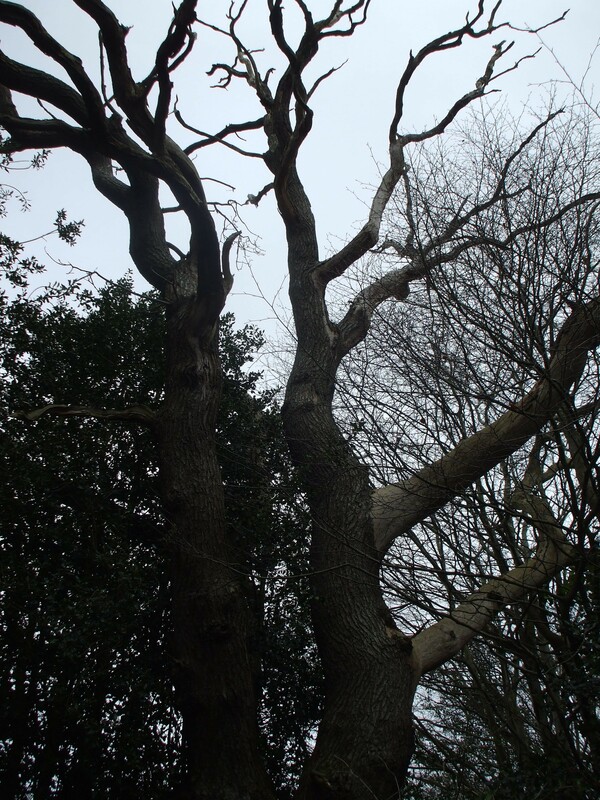 As a result this network of boundaries often form an ancient and lasting pattern within the landscape. 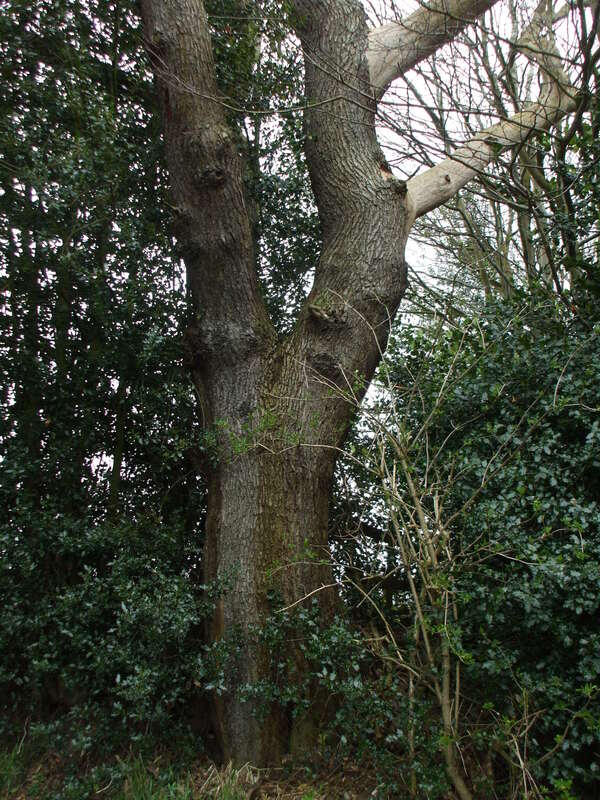 In Marthall and Warford, many of these boundaries follow natural features. 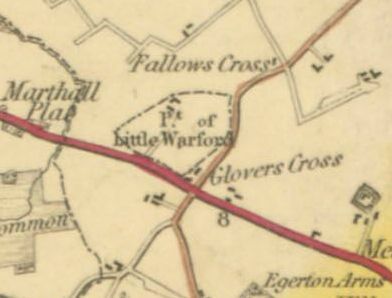 The extent of Marthall parish is almost completely decided by two streams, Pedley Brook and Marthall Brook. Where these peter out, boundaries with Ollerton and Peover Superior are dictated by individual field shapes. 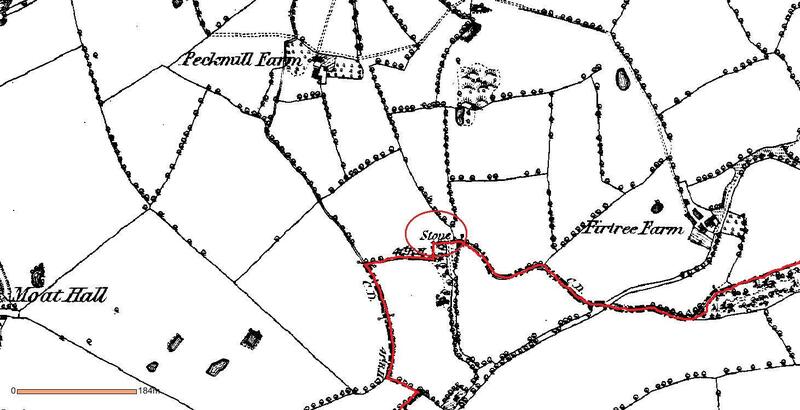 The border with Snelson and a small part of Chelford is marked by a road, Pepper Street; it then runs north-easterly over open land in an irregular fashion, and in 1875, is marked by a boundary stone where it crosses the track to Peck Mill farm. 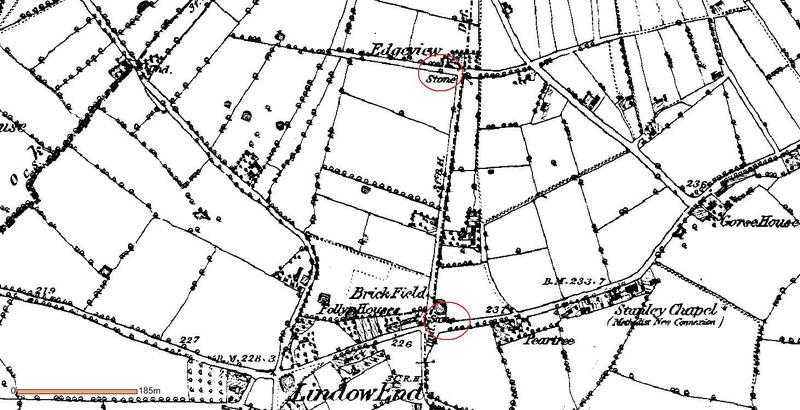 Sometimes old maps can reveal small isolated areas belonging to one parish, completely surrounded by the land of another. These are known as “detached portions”. These detached portions were absorbed into their surrounding parishes in the 1880’s as a result of the Divided Parishes Act of 1882. 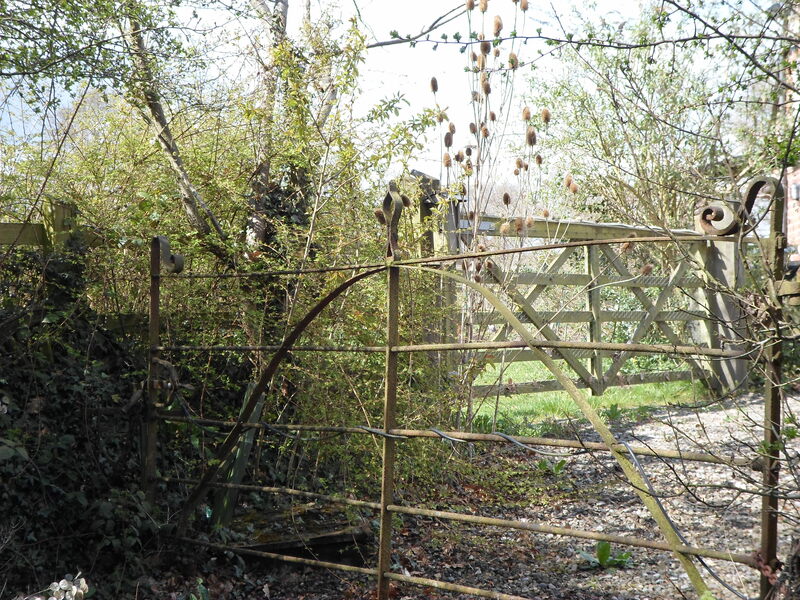 These areas can preserve memory of early rights in land, whether outlying parts of an estate, or pasture rights on waste at a distance from a main area of settlement, or rights to tithes from land shared with another parish. Neither of these stones remain. Another boundary stone is marked on Moss Lane in 1875, which was presumably removed when the boundary was changed. 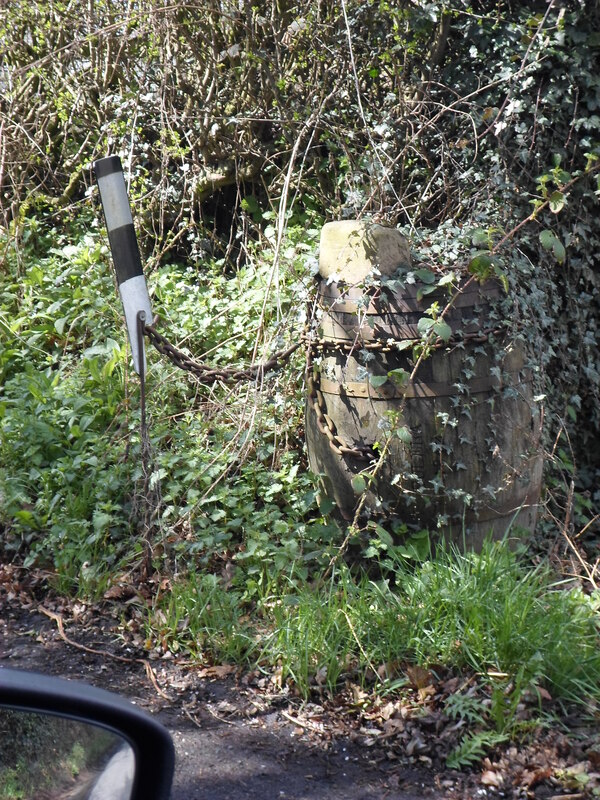 On the side of the road there is a large barrel with a stone on top, next to an old farm gate which may denote where it once was. 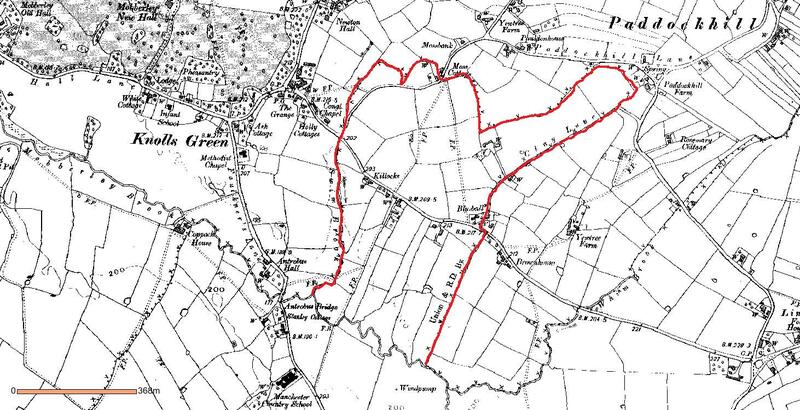 Another interesting part of the Great Warford parish boundary lies just to the east of Little Moss. 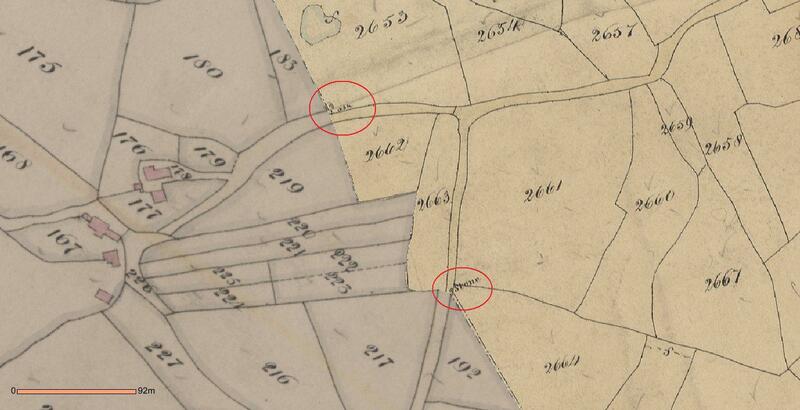 Field 2653 is known as Pit Field, and Field 183, Part of Pit Field, showing they were originally one and the same. The boundary then moves diagonally towards Chelford Road, and was marked by a stone in front of Abberley House, again long since disappeared.